Despite the efforts of many groups and partners working to alleviate poverty, national trends concerning wealth are disconcerting because they appear to be moving in the wrong direction. For example, according to The Urban Institute, approximately 30 percent of American households live from paycheck to paycheck, without an adequate financial safety net. The Pew Research Center has found that disparities in wealth between Native populations and white populations are pronounced, while wealth gaps between white households and households of other races and ethnicities are widening. 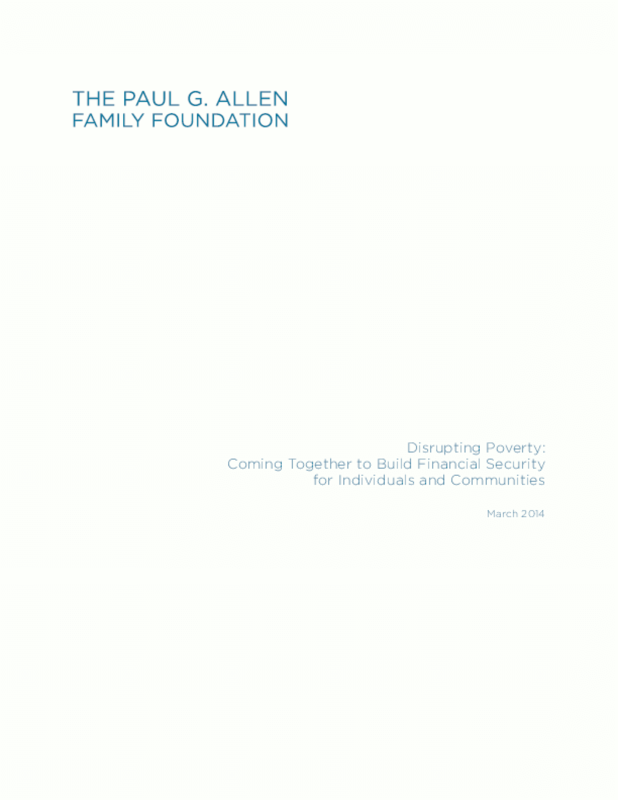 Copyright 2014 Paul G. Allen Family Foundation.